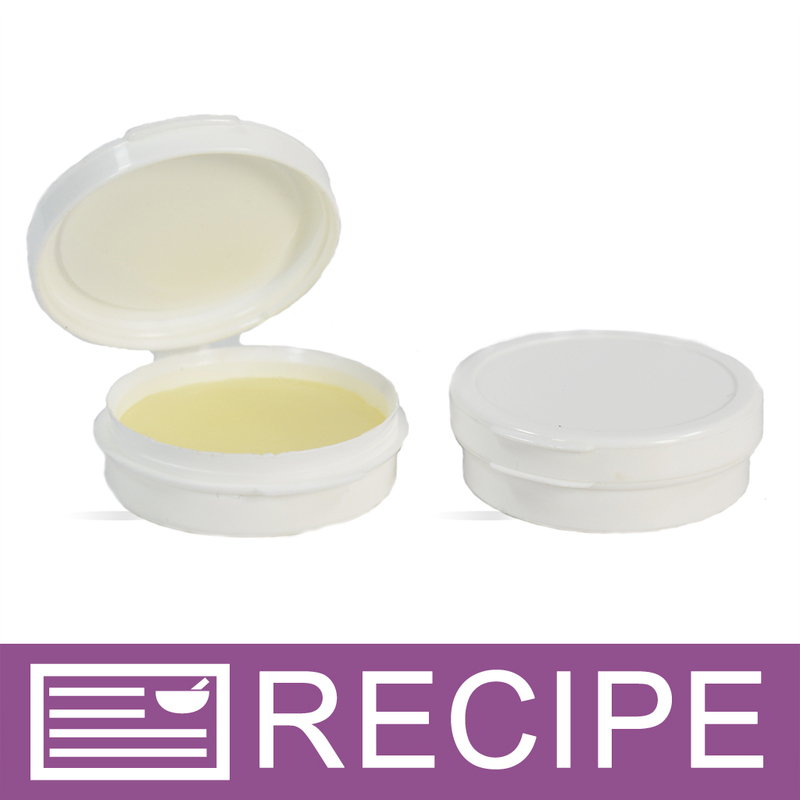 This small container is great for lip balms, product samples and much more! 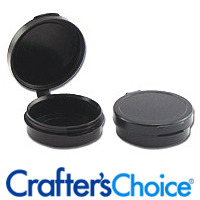 The hinged lid eliminates the search for lost caps and ensures the product is sealed properly. Directions: Carefully pour product into container. If product is warm, allow to completely cool before applying top. Container will leak with liquids. Most gels, lotions and thick scrubs will not leak. This information is supplied for use as a guideline only. Information may vary under certain conditions. It is the responsibility of the customer to test the compatibility of each jar for its intended use. Container will leak with liquids. Most gels, lotions and thick scrubs will not leak. COMMENTS: I recently purchased some of these to try for samples and wish I got more at the time. 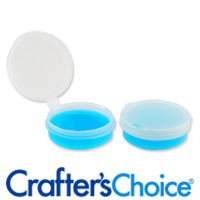 They are perfect for handing out small amounts of product without looking "cheap and stingy". I am ordering more this time! Will try the clear ones next I think. COMMENTS: Perfect for pocket-size or testers; seal is positive (no leaking). COMMENTS: I use these to give away as samples for my scrubs and lotions. It's the perfect size. I also print out a label and stick it on because sharpie ink will wipe off. COMMENTS: I liked how they snap shut and perfect sample size of lotions. • Hard to open for arthritic people. COMMENTS: I used these as a sample for my body butters and it was a hit. Nothing leaked out. Making labels for them were super easy and my customers loved them. This is a great way for a customer to test without taking a full plunge in a full size bottle. COMMENTS: I love these little containers! Every time I make a batch of lotion, cream or body butter I make a tad extra. They're great to add to packages shipped as little thank you / teaser add on's. 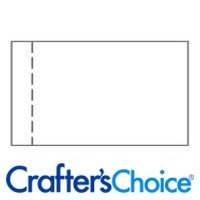 I've also used them at craft shows as samples for shoppers to try. A must have in my inventory at all times.